Suppose you were running one day and you came to a barrier across your path. What would you do? Would you stop, assess the height and then go under if you could? Cataglyphis is a species of ant that runs on the hot sands during the day. Individual ants look for food and when they find something to eat, they pick it up and run straight home as fast as they can. Spending too long on the hot sands can be dangerous. Researchers from the University of Zurich have shown that the ants can figure out how high an obstacle is just by looking at it (as they run towards it), and lower their body the correct amount to run under without even stopping. Talk about a high speed limbo! If the researcher made the barrier out of something the ants couldn’t see, however, then they had to stop and feel the barricade with their antennae. Several groups of scientists have been studying many aspects of how Cataglyphis gets around. First, the ants were shown to use visual clues such as position of the sun and polarized light to find their way back to the nest, as shown in this video. 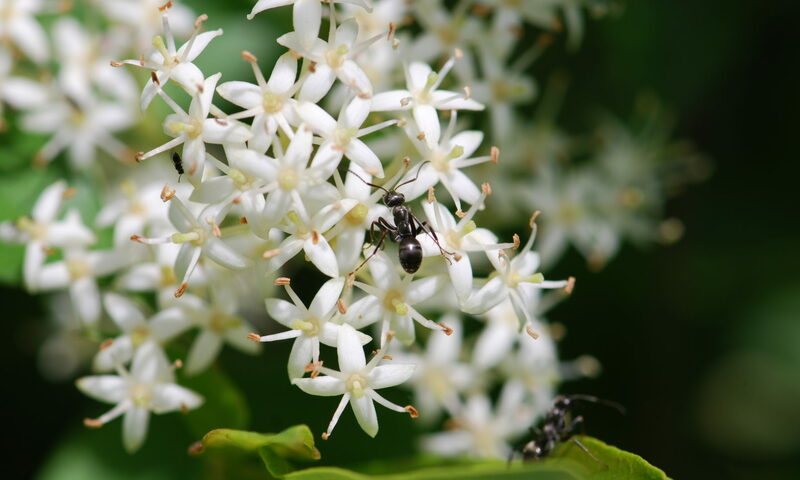 Recently scientists from the Max Planck Institute for Chemical Ecology are looking at how ants use smells in the environment to orient themselves as well. Because these ants pick up dead insects for food, it would be likely that they would key in on odors. Using odors to create maps is a natural next step. It makes sense for ants to have multiple systems for orientation. If your compass fails, why not have gps? Now I know why I always orient to those bakery shops. How Low Can You Go? Ants Learn To Limbo. And a few other ants too. Do you know what the plant “capsules” are that are strewn around the nest at the end?